As the old adage goes, “the best time to fix your roof is when the sunshine.” When was the last time when up on your roof for thorough inspection? That seems a bit precarious, then you should hire professional inspect your roof. This is especially vital if you are past the 25-year anniversary of your roof. It might have been several months since you last lit a fire in your fireplace but that doesn’t mean it is still clean from last winter. You should have your chimney and fireplace clean inspected at least once a year. The best time is at the beginning of fall before you go to light any fire. 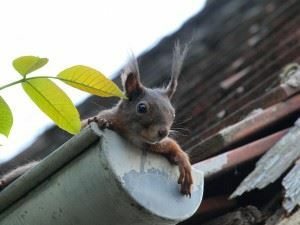 Your rain gutters are the first line of defense for your house when the storms come. You should clean them of any debris or nest that was gathered there in the last couple of months. It might also be a good idea to run some water through the gutters to make sure everything flows as it should. As you walk around the home looking up at your roof and rain gutters make sure to look down at the foundation. Any cracks that have formed should be patched up to prevent water damage from seeping into your home. The Department of water and power are out in full force trimming trees but they can get to every home. If you have tree branches that are close to power lines or hanging over your house, then you may want to consider bringing in professionals to trim those branches back. This is another job that can make a big difference around your house but doesn’t have to be done by you. Instead of renting a van and hiring day laborers, you can turn this task over the Junk King Orange County. These professional junk haulers have a lot of experience hauling away rubbish from homes, apartments, storage units and businesses. There two-man crew won’t have any problems loading up whatever it is you want to get rid of. Finish off your fall prep with a rubbish removal session from Junk King Orange County. This entry was posted in OC Junk Removal and tagged fall prep, junk removal, rubbish on August 28, 2017 by Junk King. Last updated August 28, 2017 .